Be In The Know of Things! My OMG! Books for kidz. Stay Tune for the 3rd one. 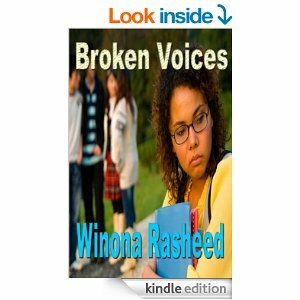 Clicking my heals and doing a little dance because the 2nd book of the Broken Voices series, published by New Line Press is in the bookstores. These two great reads are tied together. I call them "Sister Books," because they go hand in hand. When you read the first, you will want to move on to the second. Even if I say so myself, both of these stories shine and stand on their own; that's what I've been told. Both book covers just reach out and touch you, while the character pulls at your heart strings. But just you wait, when the print version hits the shelves, I will be running off at that mouth about that version too. That copy also has a different cover as does its "sister book". That's right, Broken Voices and Bittersweet Dayz, side by side. 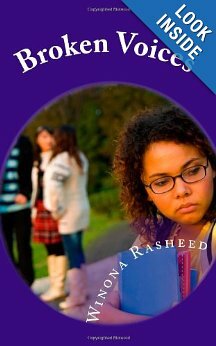 Today, March 26, I revealed the cover of my new book, "Bittersweet Days". I am so excited with this. 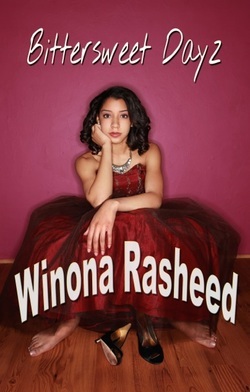 The cover that you are looking at, is the ebook copy. Oh yes, another great cover is going on the print book too. Almost like this one, but with a few changes. Both look absolutely great. New Line Press always impress me with their work. All I can say is...fabulous, fabulous, fabulous!!! Stay tuned in for future announcements on the release date. I know you want your copy. 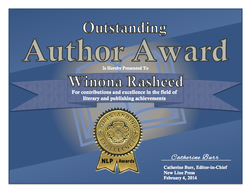 I am happy to announce that today, February 5th, 2014, I received this award from my publisher, New Line Press. I was greatly surprised. See what can happen when you work hard? You get rewarded, which shows hard work pays off. I am feel so honored and thought I should add this to my page, just in case you missed it on Twitter, Facebook, Pinterest and anywhere else that you see my name. This is good stuff! Out of all the books that I created and are published, guess which one is my best seller for 2013......give up? See below. I almost forgot about this month's issue. I don't want you to miss it. Enjoy: just click on the link. Where to get these books? Shop on line @ Amazon and Barnes &Noble. "The Race is on!" This is my newest book, it just came out, which means that I better get started working on book #10. 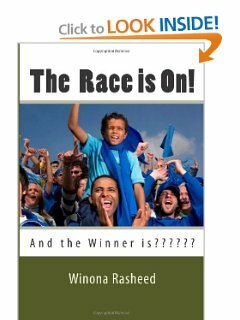 You and your young readers will enjoy this book that deals with talking cars as they prepare for the biggest race in town. It's the clunkers vs the dragsters, the old vs the new and which ones are better qualified to run in the race. 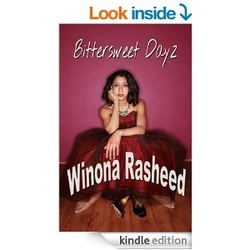 This book will have you on the move as you turn the pages in this short story. This is new book # 8. 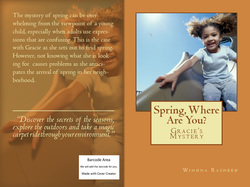 You will absolutely fall in love with Gracie as she goes about trying to find spring. Everyone in her family keep saying that it is very near, but she doesn't see it in her neighborhood, or on her street. If it is that close, how come she doesn't see it? This little girl has a lot of questions and she is out to find the answers. 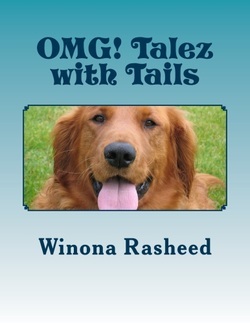 This book will tickle your funny bone and at the same time inspire readers to use their imagination; because sometimes, understanding adults can get a tad bit complicated. Way to go Ella Rose! 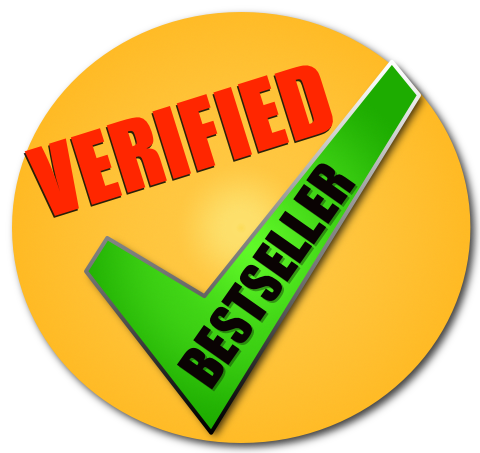 This book has made it to the top 100 books on Amazon.com It is # 36 in the Kindle Store. I am pleased because this is not the first time that this has happened. 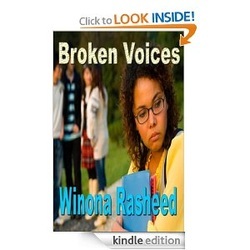 This means that Broken Voices is still circulating and being purchased. Do you have your copy of this timeless keepsake? You might have noticed that the cover is different, that's because this is the e-book edition. So both the print and e-books are doing well on Amazon. a blog hop interview. That was a fun event and a live chat. I was interviewed by Catherine Burr of New Line Press on the 16th and on the 15th, I was on Catherine's personal blog page answering questions and talking about "Spring Where are You?" I talk about this experience on my blog page. It was an interview I will never forget, because it was live. That reminds me, I did a radio interview for the first time a couple of years ago....I was so nervous. But it went very well until the end, when the host asked me to spell my name for the listening audience. Can you believe it? I actually misspelled my name and did not realize it until the day it aired. I could have died! Talk about an embarrassing moment! February was on a roll!